I agree with RareBird's advice - get on back order if you can. While I haven't received mine yet, I have to think if these things are ever produced I'll get one eventually. I've been on backorder with Classic almost three years now (since January 2008). At the time I was backorder number 108 or something (that is how many backorders were ahead of me). I checked earlier this year to see if they still had my backorder on record, credit card number etc. and they did. My interior restoration is in a long line right now so no hurry. At shows I cover the two small cracks with my PHS documentation. My problem is solved. Eunan and I found a nice camel tan dash at the salvage yard Saturday. The dash (which has no cracks) was $61.99 and included all the gauges and the bezel. Not a bad deal. The only problem is it's a non deluxe dash and doesn't have the grab bar. It does need to be dyed. I have a camel grab bar w/trim bezels you can have. also needs dyed. work with ya on some nice front turn lights? or some other part I might need down the road. I've got the grab bar on the dash that's in the car now. Thanks for the offer. I wish you were my next door neighbor though. This is as bad as 78 - 80 Camaro Tail lights. Can't get them for love nor money. I paid US$350.00 for a set on "buy it now", only to be told that the listing was a mistake.......BS. I believe they do that to gauge expressions of interest before they produce them. junk.pure junk-trim this-trim that-trim ash bezel-good luck-just spend the money nos. Do you have an nos camel tan dash for a 78? I'd be happy to look at it if you do. If you hold out too long you'll miss the bubble. If you really do have the tooling to make dashes....you should find a partner and go for it. Simple - cost. The cost of tooling is extremely high. 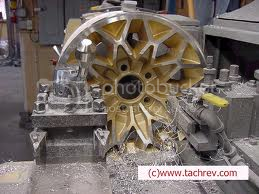 So you have to insure that you have enough demand to cover the initial investment in the tooling. And then you also have to have enough demand to cover the cost of materials and labor to actually make the product. And you have to be able to compete with restoration companies like Just Dashes and Dashboard Restorations (a couple that come to mind). So in this particular instance, they have to know that their Return On Investment (ROI) will be there to offset all the initial costs. 1978 Y88, '70 455 HO block bored 0.060, TH350, 3.42:1 gears...Oct '08 Fbodywarehouse Calendar - Woot! See that's where you're incorrect. They haven't taken a dime of anyone's money until they have actually shipped the dash to the customer. All that they have right now is a long waiting list. Yes that indicates a need but they won't see that until they can produce an actual product. And I wonder how many people on that waiting list have actually decided to stop waiting and just repair their dash themselves OR send it out to a pro to have them do it. And a thing to remember - these repop dashes are only coming in black. It's the only color they've listed for years. So for those of us with different color interiors, we have to decide if its worth trying to dye/paint a black part to match the rest of our interior. I can say from experience on the Y88 that IF I had known how badly my repop sail panels would be chewed up, I wouldn't have purchased them and instead pursued a set of original GM parts that were already camel tan and just needed a coat of dye/paint to refinish. I will say for the 80 Firebird that any panel that needs to be replaced will have an original GM part in its place - interior is red. IF they were to come out with other colors, I think I'd consider one. For now, I'll just repair the dash in the 80 after having spent $770 on Just Dashes to do the Y88 (that was a few years back and I've heard the price is now over $1k to do a dash). I stand corrected on that. I guess if they had taken peoples money there would be a definite LOUDER push to have these produced NOW. I haven't dealt with any of the repop interior stuff yet. I've only just begun my project, or restarted, or hell I don't know anymore. Lol! but i'm sure i'll be dealing with that interoir issue soon enough. The years-long waiting list got really short, Brian. I sold a 79 400 4-speed locally. The guy ordered the dash last fall, and got it this February IIRC. Most people had given up according to YearOne, and so new orders were filled pretty fast until they ran out of the first run. BTW- we put it in last weekend and it fit great. Question is Mike, how did it look and feel? Is it soft like the originals or harder like the caps?